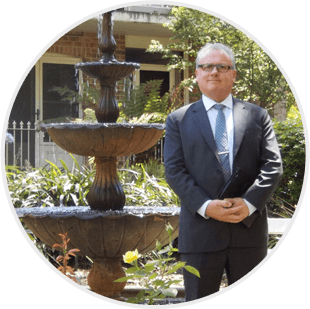 With over 25 years of experience selling Real Estate in Canberra, it comes as no surprise that Peter is passionate for property. When it comes to life outside the office, he’s driven by his love for travel and a penchant for motorcycling. Peter Tolhurst, a born and bred Canberran, began his life on the site now known as the National Museum of Australia. He has seen and enjoyed watching Canberra develop from a country bush capital to one of the most vibrant multi-cultural and beautifully designed cities of the world. Peter has also enjoyed raising his own family with all the benefits that raising a family in Canberra can bring. Real Estate is more than just a business to Peter, it has become a lifelong career. Through his gift for Real Estate, he consistently took out sales and performance awards at Reg Daly Real Estate (what would eventually become the Independent Group). It was through this passion that Peter decided to found Real Estate Australia in 2001. As a man with devotion to the amazing sights that Australia has to offer, Peter has real passion for sustainable, energy efficient design that can be incorporated every day homes. He strongly believes that it can make big differences not only to the environment, but make an enormous impact on everyday living. When he’s not out and about preaching his love for selling homes in Canberra, he spends time relaxing with family and friends and exploring the world outside of Canberra on his touring motorbike. From zig-zagging the Great Divide to traversing the amazing Australian outback. His favourite riding adventures take him through the the Australian Alps and Victorian high country. Peters other interest is travelling and exploring historical cultures outside of Australia, and of course as a Real Estate buff, wouldn’t be complete without a penchant for architecture. Some say his most annoying fault is no matter which town, country or city he visits, he can’t help browsing other agent’s windows. With access to an unbiased and fully licensed, you’ll get the best property maintenance and renovation advice in Canberra. We use our knowledge to keep the tradies honest.